This largest German link building packages designed to help you achieve life long, thematically one-way links from the .de domains or from the German language sites or from the directories that are hosted in Germany. This service definitely allows your site to get huge attention from German online folks. 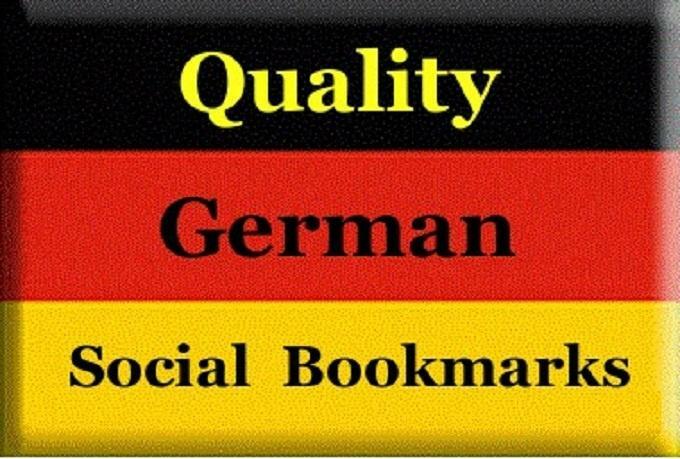 Working process is same as other Social Bookmarking services but the difference here is we are going to tag your site on most popular and high page ranked German Social Bookmarking sites. 1. This is cheap and best technique to bring your site top in rank as well as in traffic. 2. Your site is getting tagged on most popular and high page ranked German SBM sites. I will send your Report in standard Excel Sheet.